The SSL/TLS cryptographhic protocols are used to ensure confidentiality, integrity and authentication of data communications, for instance between a customer and a company during a transaction in a web shop on the Internet. Without the invention and dominant usage of SSL/TLS, confidential communication like money transfers and online shopping wouldn’t be possible today. Correct implementation and configuration of SSL/TLS are therefore vital for establishing a trustful relation between online businesses and their customers. In 2009 researchers found a design flaw in the SSL/TLS protocol which could be exploited maliciously to inject data between two endpoints - effectively breaking confidentiality, integrity and authenticity. Very soon after the discovery of this design flaw, the protocol was re-designed to ensure security. 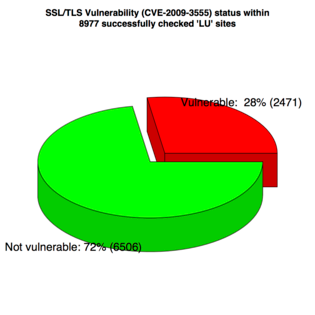 Virtually all vendors implementing SSL/TLS swiftly followed the redesign and patched their products. Most of the products have patches available since early 2010. But how many customers have actually implemented these patches? 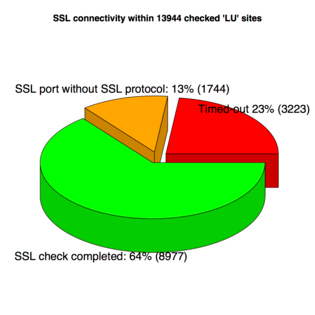 CIRCL used a sampled list of .lu domains to check the status of implementation. 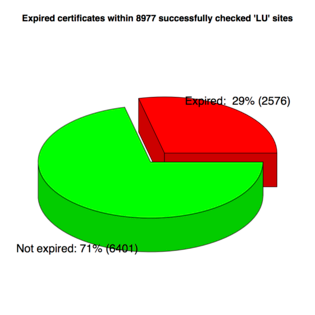 This report shows that more than a quarter of the tested .lu domains are not updated yet. Additionally, even more domains present an expired certificate to their users/customers/visitors. This shows that appropriate certificate management is challenging. For instance, the renewal of certificates in time is critical. The question that remains is: can users of such websites cope with such challenges? How do they react if an expired certificate is presented to them? These questions, when properly answered, not only strengthen trust and confidence in your Internet business and in Luxembourg as a business location. Use cases - Long-living connections where the certificate changes in the meantime - IIS initiates renegotiation if a negotiated but non-authenticated client requests a restricted server resource so that the client could authenticate itself with the certificate. This test is not perfect: it is possible to check domains that are not supposed to support SSL, but which are served from a server infrastructure with multiple virtual hosts. It could be that in this case only one or some of the virtual hosts are configured to support SSL properly.